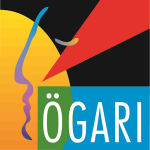 The ÖGARI (Austrian Society for anaesthesiology and intensive care) aims to optimize the service to the public in this area and to promote Anesthesiology. 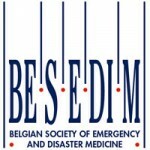 De BeSEDiM (Belgian Society of Emergency and Disaster Medicine) is de Belgische wetenschappelijke vereniging voor urgentie- en Rampengeneeskunde. The Emirates Critical Care Conference has accomplished 14 years of success over the years and we now begin to prepare for the 15th year of this Coveted Conference. We have much to thank the valuable partners and supporters, the delegates and the very qualified and proficient team of Speakers from around the globe, and the most dedicated committee members who make up the Emirates Critical Care Family. Every contribution attributes to the success and is a stepping stone to pick the momentum of its 15th Edition. On behalf of the World Federation of Societies of Intensive and Critical Care Medicine – WFSICCM, the International Pan Arab Critical Care Medicine Society – IPACCMS, InfoPlus Events L.L.C – IPE, National and International Scientific and Organizing Committee, I feel privileged to extend our invitation to welcome you all to be a part of this distinguished conference in its 15th Edition from 4th – 6th April, 2019 at the Event Centre, Dubai Festival City, UAE. Aims for the highest standards of practice and safety in anaesthesia, perioperative medicine, intensive care, emergency medicine and pain treatment through education, research and professional development. The European Society for Emergency Medicine (EuSEM INPO) is a non-profit making scientific organisation whose aim is to promote and foster the concept, philosophy and the art of emergency medicine throughout Europe. The ultimate objective of the Society is to help and support European nations to achieve the specialty of emergency medicine. You just enter the site of one of the university Anesthesiology Departments of Paris. The Department of Anesthesiology of the Hospital of BICETRE, located in Kremlin Bicetre in the southern suburbs of Paris was established in 1970 as part of the Paris-Sud University. 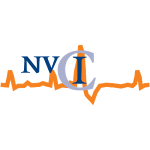 The Department has three major clinical guidelines: regional anesthesia and pain, pediatric anesthesia and trauma. Moreover, the university laboratory anesthesia has developed experimental models on these areas. Teams of Anesthesiology hospital in Clamart Antoine Béclère and Paul Brousse in Villejuif are attached to this Department and respective specificity for obstetric anesthesia and anesthesia for liver transplantation. This Department has an important academic activity. 30 annual publications in refereed journals are from different parts of the Department and reflect the significant desire for innovation and reflection of our team. 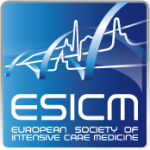 The Swiss Society of Intensive Care Medicine (SGI SSMI) was established on 4 February in 1972 by 28 founding members in Basel. For forty years, the SGI SSMI was purely a Medical Association till in 2011 a historical development through: The merger with the IGIP (Association for Intensive Care, which represents the interests of intensive care staff), become a common society of doctors and nurses. The SGAR understood as an umbrella association of all Specialists in anaesthesiology and stakeholders. 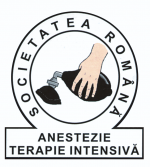 Slovenian anaesthetists are associated in Slovenian Society of Anaesthesiology and Intensive Care Medicine (SSAICM). It has been acting for over a 20 years. Furthermore they participate also in other interdisciplinary societies: Intensive Care Society, Slovenian Society for Pain Treatment, etc. 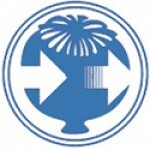 SSAICM is also member of WFA, we are active participants of their assembly (every 4 years). Our most traditional collaboration is in Alpe-Jadran region. Anaesthetists from Croatia, Austria, Italy and Slovenia have been working together for 20 years. SFAR, French Society of Anesthesia and Intensive Care, is an association according to law 1901, recognized public utility. Its purpose is the study, advancement and teaching of anesthesia and resuscitation. SASA is a member association, not for gain, that is dedicated to the furtherance of the discipline of anaesthesia at both an academic and a clinical level. SASA has been in existence since 1948 and is devoted to the welfare of its members. 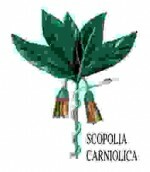 The Spanish Society of Intensive Care and Coronary Units (SEMICYUC) Medicine was established in 1971 as a scientific, multidisciplinary and educational association. 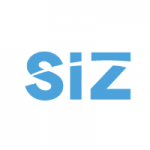 It consists mainly of medical specialists in Intensive Care Medicine, with the mission to promote improvement in the critically ill patient care. The society was formed initially in Uppsala 1999, at the time as a subsection within the Swedish Society of Internal Medicine. 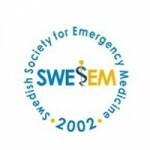 In 2002 the present form of SWESEM was established as planned, representing Emergency Medicine and it's physicians solely. 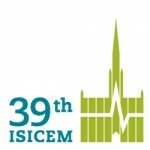 Since 2005 SWESEM is a part of the European Society of Emergency Medicine and since 2006 also of the International Federation of Emergency Medicine. 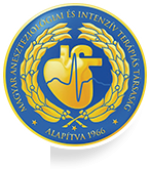 The World Federation of Societies of Anaesthesiologists is a unique, global network of National Societies that brings together qualified practitioners of this specialised area of medicine. The World Society of the Abdominal Compartment Syndrome (WSACS) was founded in 2004 by a group of international physicians and surgeons who recognized the need for a cohesive approach to promoting research, fostering education, and improving the survival of patients with intra-abdominal hypertension (IAH) and/or abdominal compartment syndrome (ACS). While it remains a fledging society, the WSACS has arguably accomplished a great deal in its first three years including the development of evidence-based medicine consensus definitions and recommendations statements, publication of the first textbook on ACS as well as a monograph of cutting-edge research findings, and development of a worldwide network of clinicians and research scientists.